Housing New Zealand's challenge is to provide housing for the nation’s most vulnerable people in a way that’s safe, healthy, sustainable and cost-effective. 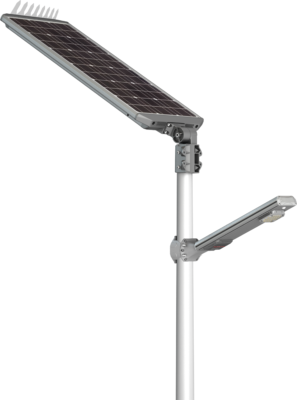 The Leadsun solar street light is helping to meet those needs. 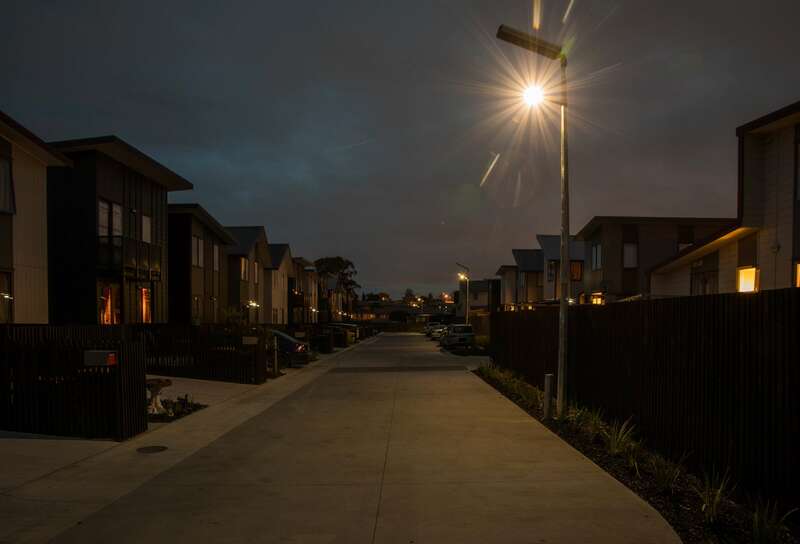 This HNZ development on Auckland’s North Shore is one of many new communities using solar lighting. 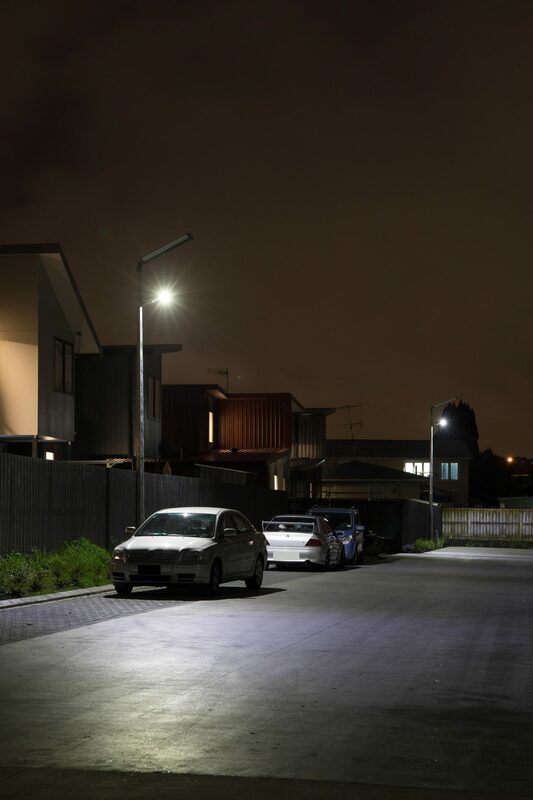 The luminaire optics are carefully designed to limit spill light onto neighbouring properties. In this development the shared accessway serves as vehicle access to multiple homes and is also used by pedestrians, including visitors to the community and small children at play. Safety and security is paramount. 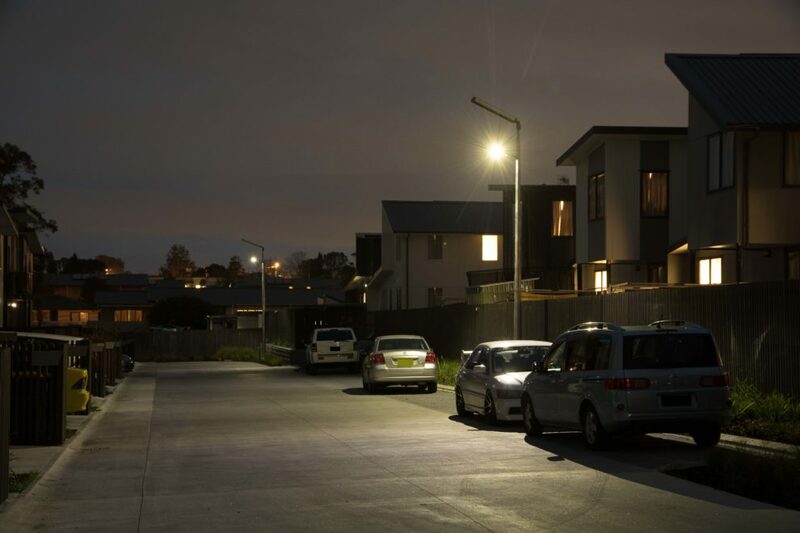 As well as being off-grid, the solar street light conserves its own power by dimming down to 30% when no-one is around. 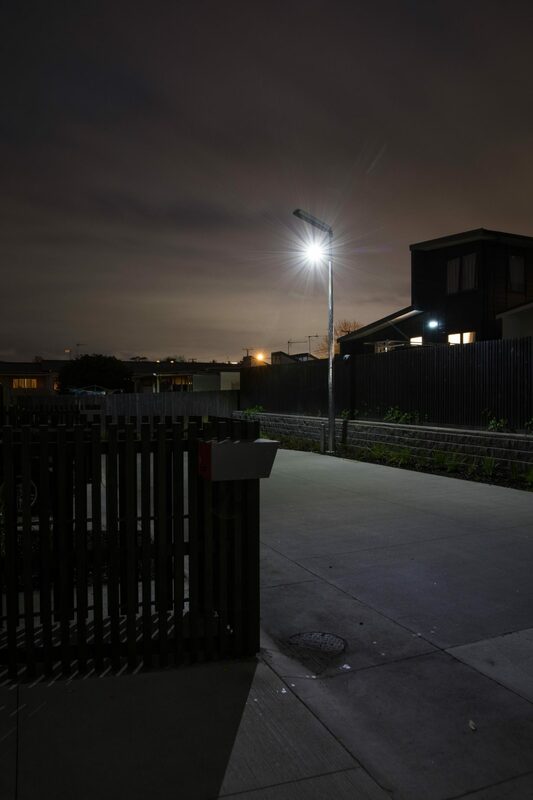 This still provides enough background light to maintain a sense of security The low light on the accessways also helps to maintain a sense of community within the development, rather than isolating the homes in darkness. When significant movement is detected – a vehicle or a pedestrian – the unit switches to 100 percent output, giving enough light to identify hazards on the accessway and plenty of light to deter unwanted activity. Because the unit dims quickly when people leave the area, the accessway is not lit all night with an unnecessary level of light. By choosing a solar solution on this site HNZ didn’t need to run cable to the light fittings and they don’t have to pay for power. 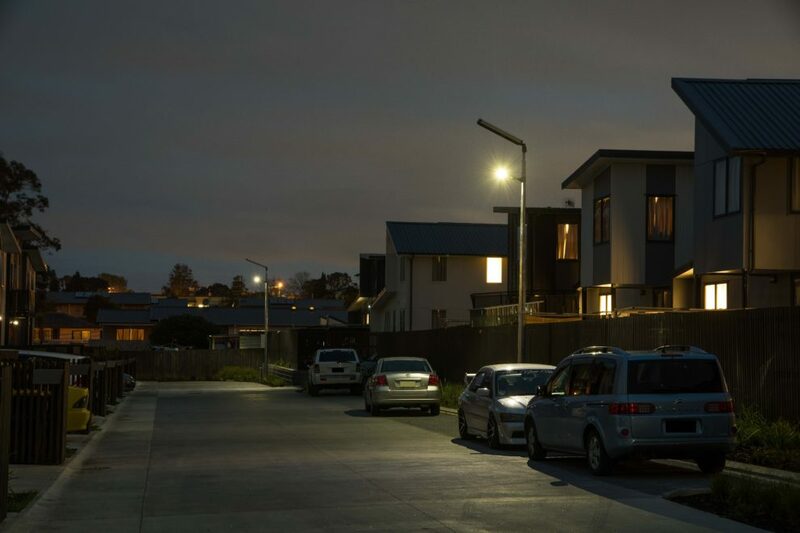 The Leadsun solar street light, with its dimming and presence detection, gives the residents all-night security without over-lighting their homes and surroundings. Sleep mode: when no-one is around the light output dims to 30%, while still giving a clear view of the accessway. Full output: when people are present the light level is ample for safe movement of people and cars in the shared space. The crisp light makes it easy to identify people and obstacles on the accessway.